Lately I’ve been into superfood ingredients like chia, flax seed and quinoa. As a busy mom we have to find a balance between healthy foods and convenience that works for us. I have found that adding these “superfoods” into meals and snacks is such an easy way to bring more omega-3’s, fiber, antioxidants and protein into our family’s diet. Ground flax seed can easily be added to baked goods and breads. 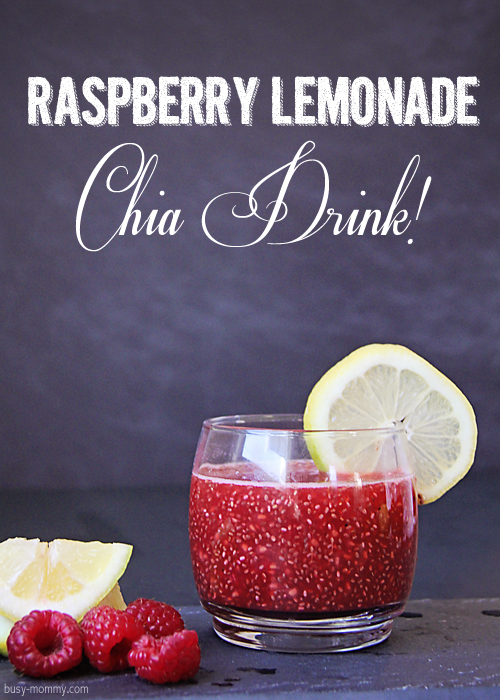 Chia can be added to cereals, yogurt, oatmeal and of course, chia drinks! 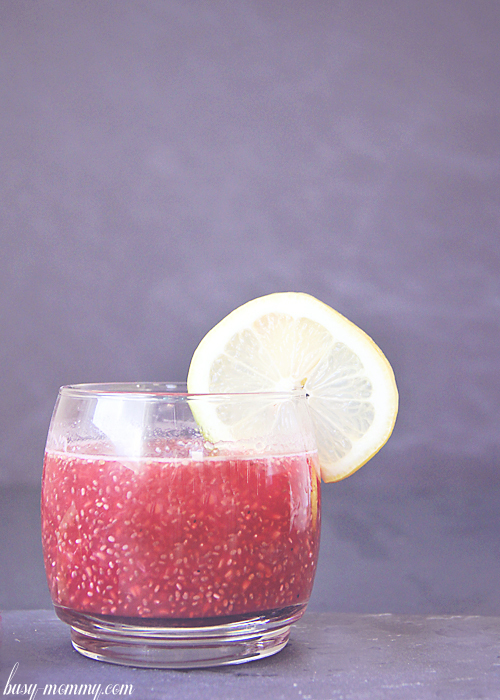 I’ve had those expensive store-bought Chia drinks, but these are easy enough to make at home. Chia are seeds, but when they are left to soak, they create a gel like substance. The texture might take some getting used to and these might not be the drinks for kids who are picky about weird textures. Mix all of the ingredients in a pitcher. Let sit 30 minutes until the seeds form a gel consistency. Shake or stir before serving. Hey friends, be sure to follow me on Facebook and Pinterest! How long does this last in the fridge?? This is everything to me for summer! I cannot wait to make this and enjoy out on the patio soaking up some sun! I also found this through Pinterest. Looks delicious, but I was wondering if I could substitute anything for cococnut water. Thanks. Found this through pinterest.com and have to try it!! Thanks for the recipe! This is a beautiful looking drink. I wonder how it would be in the blender–do the seeds puree smooth? I may have to try it.